high-quality human resources in IT and automotive engineering technology. As per the cooperation programme, students will attend basic science courses, as well as Korean language and culture courses at the Vietnamese university for two years before taking up another two-year term at the Tongmyong University. The Korean university will facilitate study conditions for Vietnamese students, including scholarships, dormitories, and part-time jobs. After graduating, they can work in the RoK or return home to look for jobs in Korean companies. At a ceremony to announce the ministry’s decision on April 16, Assoc. Prof. Dr Cao Hung Phi, VLUTE Rector, stressed that by holding a globally-recognised Bachelor of Science degree, students will have more job opportunities. In addition, they will receive advantages in tuition fees and have the chance to study the culture, socio-economy, and science-technology of both Vietnam and the RoK. The VLUTE’s Information Technology as well as Electrical and Electronics Engineering Technology courses were recently recognised as international standard programmes by Skill International, an educational consultancy in New Zealand, he said, adding that the university is planning associate programmes with prestigious universities in Japan, Germany, Canada, and the US to develop high-quality human resources to fit the strict requirements of local enterprises. 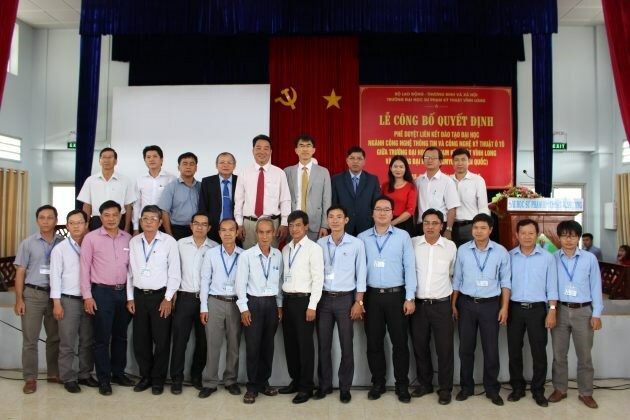 Meanwhile, Vice Chairman of Vinh Long province People’s Committee Lu Quang Ngoi said that the university is on the right track as it is working to promote international cooperation programmes.